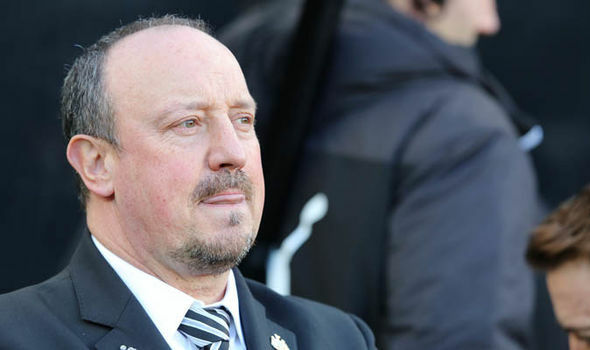 Benitez now has two big concerns ahead of “massive” game with Huddersfield – Report – NUFC blog – Newcastle United blog – NUFC Fixtures, News and Forum. According to the Chronicle, Rafa Benitez is ‘concerned’ that both players and fans could underestimate Huddersfield – a game the the Spaniard has described as “massive” in our fight for survival. The piece insists that Benitez is approaching the game ‘cautiously’, urging our players to be ‘fully focused on the job in hand’. We’ve been much better recently and we may have our club record signing starting for the first time, giving us more reason to be confident, but it would be just like Newcastle United to beat Manchester City and go missing against rock bottom Huddersfield. We are 14 points clear of the Terriers – so it’s probably fair to say they’re all but down already – but they’re still playing for pride, their new boss has insisted they’ll fight until the end and, in a away, the pressure may be off them a little. “It will be a massive game. “But all of the games for us to the end of the season will be like finals. “The next one, against a team at the bottom of the table, people are expecting it will be an easy game but I do not see it that way. “Their manager says they will fight until the end. In a game that’s offering us such a big chance to gain a precious 3 points, it’s absolutely essential that we don’t take them lightly – especially when you consider how poor our home form has been in the main. We may have beaten Cardiff and Man City in our last two league games at St James’ Park, but the likes of West Ham, Wolves, Brighton and Leicester have all beaten us this season – with us also failing to beat Fulham when they were at rock bottom and conceding goals for fun. I am confident and have a good feeling about this one, but that must NOT take away from how much we support on the team off the pitch and how hard they work on it. This is a real opportunity to take one huge step closer to that 40 points mark. There can be no room for complacency.